Anyone that has had to deal with creditors calling at all hours of the day and night, sending piles and piles of mail to your home or mailbox, and generally making life terribly difficult for you understands just how stressful this situation and scenario can be. Frequently, creditors become overzealous and amazingly aggressive. The last thing that you need to deal with when you’re trying to decide if you need to move forward with a bankruptcy is whether or not a creditor and collector is going to make your life a living hell in the process. Luckily, there are a number of different things you can do to eliminate these creditors and collectors from carrying on this way – though you’ll need the services of the right bankruptcy attorney to do exactly that. Here is just a bit of information that you’ll need moving forward. It’s going to be absolutely impossible for you to successfully navigate a bankruptcy situation unless you can focus on the task at hand. Dealing with creditors and collectors that call every single time you sit down for dinner, every single time you lie your head down to go to sleep, or every single time you go to the mailbox just isn’t going to cut it. There’s no reason whatsoever to deal with this extra stress, pressure, and anxiety – it’s counterproductive, and will end up causing more hassle and headache in the future. By deciding to invest in the services of the a bankruptcy attorney, you are deciding to put a stop and end to this abuse completely. Thanks to the Fair Debt Collection Practices Act (commonly referred to as the FDCPA) initially passed in the 1970s, you’ll be able to stop those abusive collectors and collection agencies dead in their tracks. Professional bankruptcy attorneys have the experience and expertise you need for getting collectors, collection agencies, financial institutions, and other organizations to stop contacting you directly the moment that you begin the process of filing for bankruptcy or navigating the different alternatives available. The FDCPA also provides a number of the very real and very serious punishments for anyone that violates that federal law, allowing you to have a tremendous amount of leverage when it comes time to settle or navigate your bankruptcy process. 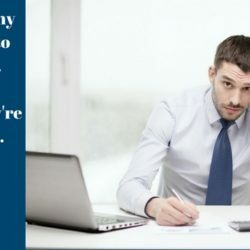 This is why it is absolutely critical and essential that you decide to invest in elite level bankruptcy attorney services before doing absolutely anything else. There’s just too much at stake (not just financially, but also psychologically and emotionally) that you can’t risk doing this all on your own. Not only providing you with elite level representation, negotiation, and filing experience and expertise, bankruptcy attorney services are also going to make sure that any and every collector, lender, or financial organization stops sending you communications the moment that you’re ready to proceed. This will provide you with other kind of “peace of mind” you’ve been after, the kind of peace of mind and security that you deserve during this already stressful enough situation. All you have to do to take advantage of this specific benefit is contact the legal offices of Blutter & Blutter and set up a 100% free consultation. If you are sick and tired of dealing with collectors, lenders, and other financial organizations destroying your day to day life, make that phone call as soon as possible and get real relief right now.